Daylight savings time began on Sunday. Glad to see light again when I start waking up around 6:30ish. I really like the sun in the morning. I am not too happy that it is dark at 5pm now, but what can you do? I woke up stupid early yesterday (around 5:45) because of the change. But it gave me a chance to do some scanning of my doctor’s note and get pictures ready for the school’s yearbook. 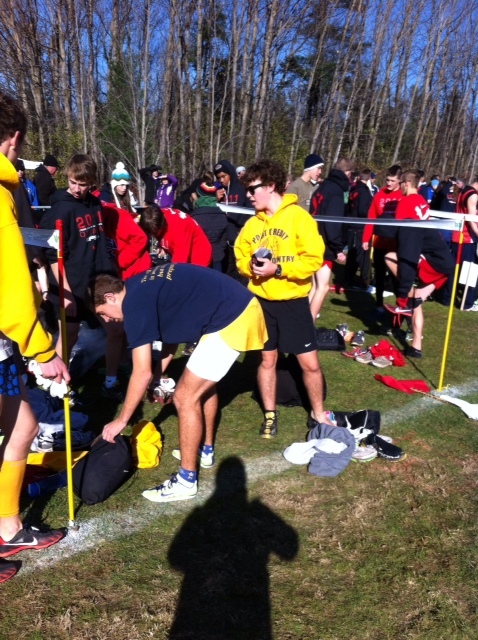 On Saturday, the Ottawa school boards hosted the 2011 OFSAA Cross Country Championship. My Co-coach was one of the conveners. So naturally, my school was heavily involved. 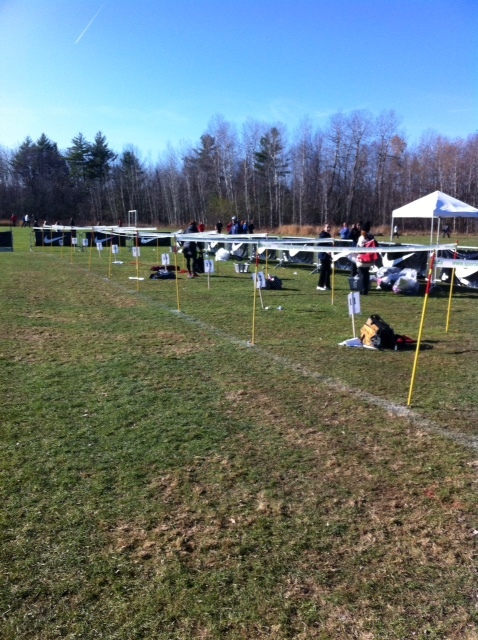 I worked the start chutes which involved checking the runners and assembling them for the start. It was really busy for the entire day, but exciting to watch from this angle. Once again, I can say that Ontario students who compete at this level are the nicest kids in the world. As discussed with a few teachers who had never been to a track or XC race before, the students were polite, smiling and demonstrating great sportsmanship. It takes a lot of time, patience and effort to make it to OFSAA. I travel with the Ottawa athletes once a year for track OFSAA (we travel as a city, which means traveling with every school board: English, Catholic and the French boards). In the past two years, I have encountered little to no problems travelling with the teams. Everybody gets along and everybody cheers on everyone, regardless of what school you came from. A big reason why I will be returning to coaching on my mat leave is because of the kids. So while checking in my group of athletes, I noticed to the right my old high school. I had a quick chat with them and laughed that my old track coach is still teaching even though 10 years ago when I was in high school he was counting the days until retirement. 10 years later, he is still there and from what the kids have told me, it has a bit to do with track and field coaching, lol. I entered and didn’t win the lottery for 2011 as well. Funny story- my sister also entered and she got a spot. But she couldn’t take it because there was no way she’d be running a marathon 3 weeks after giving birth. I was really relieved that I didn’t get a spot for this year’s draw. It would have made me sad.